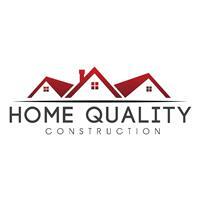 Home Quality Construction - Builder based in London, Greater London. "Exceeding Client Expectations For Over 15 Years"
Home Quality Construction is a London based construction firm which offers an extensive range of building services to best meet all your property demands. With over 15 years’ experience providing quality construction services to the London region. Home Quality Construction has grown the business working for clients across London, who only demand the highest level of workmanship and service. Surpassing the expectations of our clients has become our hallmark and a true measure of our professionalism. Please contact us to discuss your needs, for further information or for a full & free quotation.